All Star Trek fans will be familiar with ethical dilemmas in deep space. However, they might not be aware that bioethicists have opened serious discussions as projects for the exploration of Mars advance. An American group called Inspiration Mars plans to launch a married couple to fly around Mars in 2018 and return to Earth. A Dutch group called Mars One is seeking two men and two women to establish a settlement on Mars in 2024. It will be a one-way trip. In Slate, Patrick Lin and Keith Abney of the Ethics + Emerging Sciences Group discuss some of the ethical challenges which such expeditions will probably encounter – “a sort of Astronaut Bioethics 101”. Lifeboat ethics. What happens if an accident reduces the amount of air or other resources for a four-man flight to two or three? Should the astronauts draw straws to decide which one should die? Should they kill the astronaut who adds the least value to the mission? Pregnancies in space. A space child could be seriously handicapped because of space radiation and micro-gravity during the flight and on Mars. So how should the Mars mission deal with sexual tensions? Inspiration Mars handles this by recruiting a married couple. 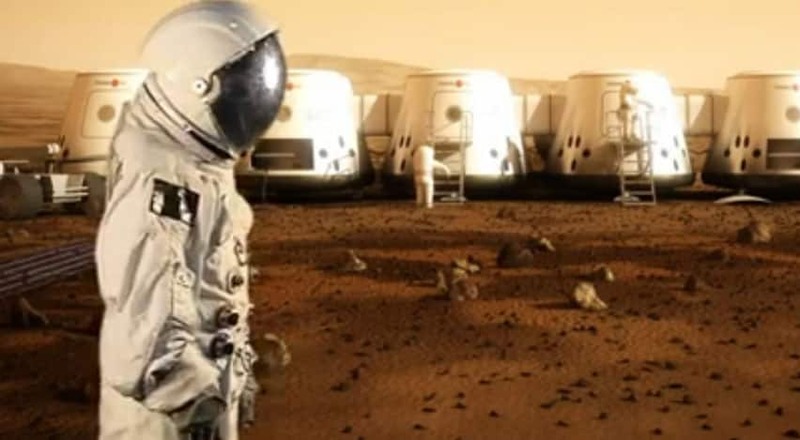 Mars One is more relaxed about its criteria, but notably silent about the psychological consequences of forcing men and women to live together in confined quarters. Should abortions be allowed in space? Should astronauts be sterilized before leaving? Psychology and privacy. The astronauts would effectively become a long-running reality-TV show. Their every action would be monitored. Mars One recently announced that it had teamed up with the Dutch reality-TV production company Endemol to cover the training program for 705 applicants. Notwithstanding these problems – all of them quite obvious after a moment’s reflection – 200,000 people applied for Mars One. Footnote: Neil Armstrong and Buzz Aldrin walked on the Moon and lived. But if the 1969 NASA mission had failed, President Richard Nixon had a speech prepared. It concluded: “For every human being who looks up at the moon in the nights to come will know that there is some corner of another world that is forever mankind.” What is Plan B for the Mars One spin doctors? This article is published by and BioEdge.org under a Creative Commons licence. You may republish it or translate it free of charge with attribution for non-commercial purposes following these guidelines. If you teach at a university we ask that your department make a donation. Commercial media must contact us for permission and fees. Some articles on this site are published under different terms.